Austin Aeronauts was established in 1983 and today, remains the premier choice for hot air balloon rides in Austin, TX. We offer hot air balloon advertising, promotions, special events, pleasure flights, adventure tours and more. We’ve flown over 10,000 hot air balloon passengers and counting, and look forward to sharing with skies with you! Take to the Skies for a Day of Ballooning! For an adventure that’s unlike anything you’ll experience on the ground, Austin Aeronauts is here to provide you with exciting, intriguing, exceptional hot air balloon rides in Austin, TX! Whether you’re chartering a short journey over Lake Travis with a few friends or you’re looking to snap a few aerial pictures of the local landscape, we’re ready to take you up. We offer private and semi-private flight options to make sure your experience is everything you want it to be. We specialize in custom flights, adventure tours, scenic flights and wedding flights! Austin Aeronauts is a unique balloon company that has opted for more shaped balloons over larger balloon sizes, and we ensure that each tour group gets the space and longevity they need to have an unparalleled ballooning experience. In addition to private and semi-private flights, we also offer the use of our hot air balloons in Austin, TX for companies. Whether you’re putting on a special event that needs a central attraction or you’re exploring new marketing opportunities, we’re here to help. We’re happy to travel to your location to put our services to work for you. Let us take guests up for a brief view of the vistas, or chart a course for advertising and let us handle your message. There’s nothing quite like a hot air balloon ride! We’re pleased to offer private and semi-private flight options, catering to your specific experience. We have our Federal Aviation Administration (FAA) Pilot Certificate. 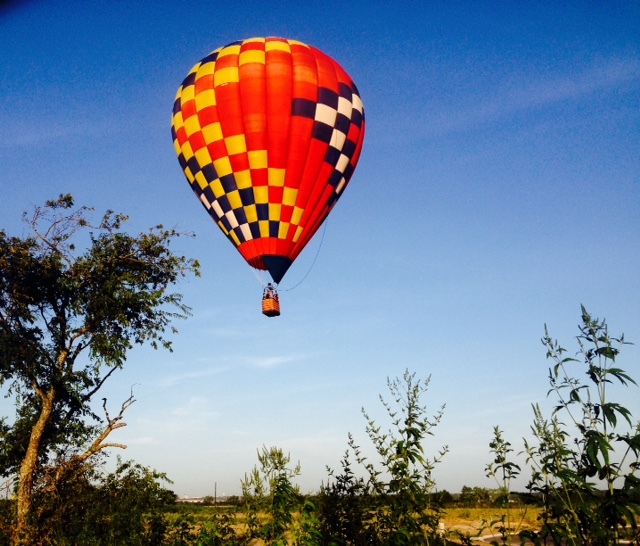 Our business is a member of the Balloon Federation of America and the Central Texas Ballooning Association. Our balloons are extremely well-maintained, made by top industry manufacturers including Ultra Magic, Cameron, Lindstrand, and Thunder & Colt. While other hot air balloon companies try to fit 12 people on their rides, we cap ours at 6, for a more personal, enjoyable experience. To book us for a hot air balloon ride for your private experience or corporate event, contact us today for information and pricing.